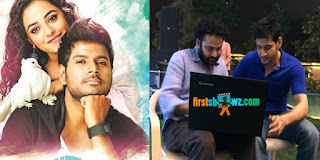 Sundeep Kishan is playing the lead role in the movie ‘Okka Ammayi Thappa’. Nithya Menen, who is known for choosing films with strong content, is playing the female lead. The film is being readied for a June 10th release and the censor formalities will be completed later this week. The release date will be formally announced once the censor certification is done. Rajasimha Tadinada is making his debut as a director with this project. He has worked as a writer for many successful films in the past. Rajasimha showed the theatrical trailer of the movie to Superstar Mahesh Babu recently and Mahesh appreciated the debut director. Mahesh Babu asked details about the story and he went on to commend the visual effects quality in the trailer as well. I have known Mahesh Babu garu since Takkari Donga. He loved the trailer and appreciated me. I am very grateful to him “, said director Rajasimha Tadinada.